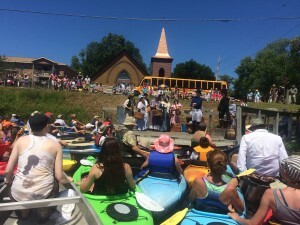 On Sunday, July 19th, 128 canoes and kayaks launched onto the Mill Pond in New London, MN for a unique paddling AND theatre event. 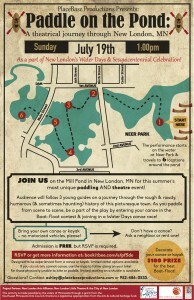 Paddle on the Pond: A Theatrical Journey Through New London, MN was an original, place-based musical theater experience presented by PlaceBase Productions, in partnership with the New London Little Theatre, the New London Arts Alliance and the City of New London. 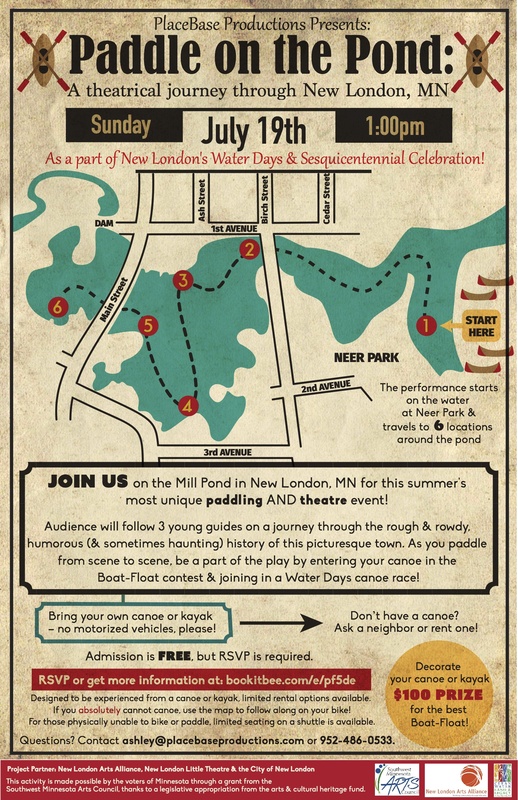 The play was staged at 6 scene locations around the Mill Pond (see map to the left) as a part of New London’s Water Days Celebration and to celebrate the town’s Sesquicentennial (that’s 150 years old). The cast and crew for this one-of-a-kind, community-driven production was made up of over 50 New London-area residents. Everyone who gathered on the pond that day will never forget this once-in-a-lifetime play. New London, MN, population 1251, sits comfortably in a meander of the Crow River in Central Minnesota. Soon after Louis Larson and Sam Stoner settled here in the 1860s they built a dam which caused the river to rise over its banks. 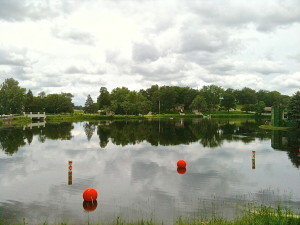 As a result water surrounds the town on three sides to create one of the most picturesque small town landscapes in Minnesota. Story Swaps are an informal place to share (or just listen) to stories about your community. We believe everyone has a story to share and we want to hear it! 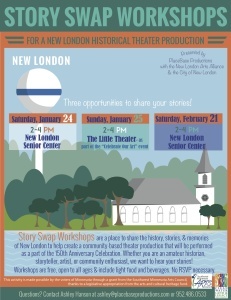 Participants at our first story swap created a memory map of New London, labeling their favorite places in town. 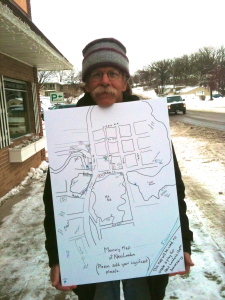 Potter, Mayor Bill Gossman holds the memory map, which travelled around to all of the cafes in town during research in 2014 and 2015.